1 YRS Shenzhen Mitong Industrial Co., Ltd. Tags: Foam Pillow | Personalized Travel Neck Pillow | Memory Foam Pillows. 2 YRS Yiwu Bewalker Commodity Co., Ltd.
2 YRS Yangzhou Zhongxi Plush Toys Gift Co., Ltd.
2 YRS Zhuji City Jiayun Gift Co., Ltd.
12 YRS Zhejiang Winchoice Imp./Exp. Co., Ltd.
4 YRS Memory Foam Products (Nantong) Co., Ltd.
12 YRS Dalian Eaglesight Corp., Ltd.
5 YRS Ningbo Watoweroutdoor Co., Ltd.
3 YRS Hangzhou Shengyi Tourist Novelty Co., Ltd.
3. Remove the battery if it is not in used for long a time and keep it in dry place. 5. Do not operate the Torch whilst it is connected to the Charger or damage may result . 1.Delivery Lead time: we'll send out your parcel within 2 working days after receiving your payment. 3 YRS Guangzhou Wenjian Household Products Co., Ltd.
We are a modern enterprise setting design, research, production, sales and service in one. We are factory supplier and the client can be wholesaler or retailor. 06 What is the production lead time9 15-20 days after receiving downpayment and details confirmed with buyers. 1 YRS Shanghai Langyi Trading Co., Ltd.
4 YRS Yancheng Dafeng Putian Hometex Co., Ltd.
1 YRS Yiwu Mimo Trading Co., Ltd.
8 YRS Guangzhou JYM Tech Co., Ltd.
1 YRS Hefei Singry Household Products Co., Ltd.
2 YRS Yiwu Dolphineshow Trading Co., Ltd.
2 YRS Shanghai FR Import & Export Co., Ltd.
5 YRS Yiwu Qetesh Trade Co., Ltd.
1 YRS Yangzhou Sky Toys & Gifts Co., Ltd.
6 YRS Guangzhou Hongbao Automobile Accessories Co., Ltd. Car head pillow, car neck pillow with logo print Specification Model 803 Size for one pcs 27 * 18 cm Packing Inside: 2 pcs per pair, pack in plastic bag, outside: 50 pair in one carton Carton size 92 * 52 * 60 cm Delivery 7 - 25 days Packing More designs Please feel free to send us inquiry for more details! 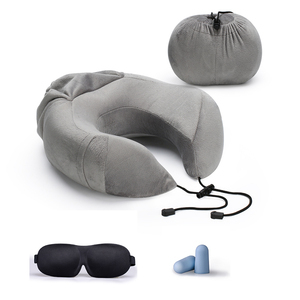 Alibaba.com offers 38,814 neck pillow with logo products. About 91% of these are pillow, 1% are massager, and 1% are other interior accessories. 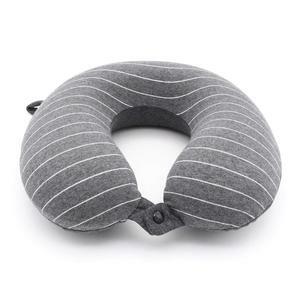 A wide variety of neck pillow with logo options are available to you, such as airplane, neck, and camping. You can also choose from anti-apnea, memory, and anti-static. As well as from rectangle, concave, and u-shape. And whether neck pillow with logo is plastic, 100% bamboo fiber, or 100% polypropylene. 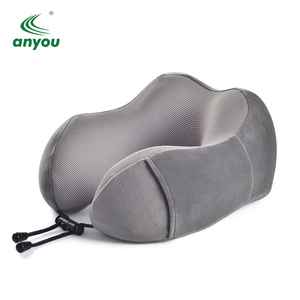 There are 38,814 neck pillow with logo suppliers, mainly located in Asia. The top supplying country is China (Mainland), which supply 100% of neck pillow with logo respectively. 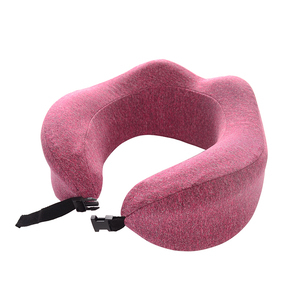 Neck pillow with logo products are most popular in North America, Western Europe, and South America. You can ensure product safety by selecting from certified suppliers, including 7,975 with Other, 5,450 with ISO9001, and 2,516 with BSCI certification.